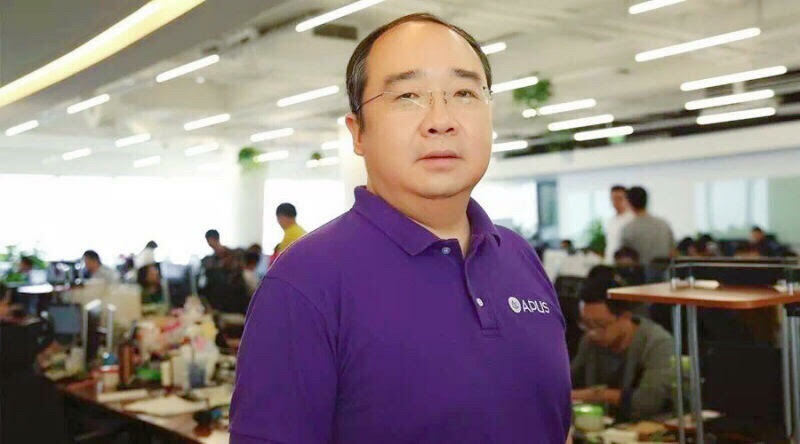 Tao Li is the founder and CEO of APUS Group. If you are an Android user, you must be aware of APUS Launcher (specifically “A Perfect User System” – APUS). The app is indeed one among the best launchers we’ve used so far. Now, just like the APUS launcher, other APUS series products have also proved themselves to be appealing enough to the users. APUS Group’s market value was estimated at around 1.5 billion USD back in 2015. Well, that’s huge! So, we present you Mr. Tao Li, who spent some of his precious time to have a conversation with us. In this article, you’ll find all the answers to our interesting questions asked and few tips that you can take away if you are (or want to be) an Android app developer. Q1. What inspired you to start APUS Group? The product idea came from business trips to Brazil, when I was in charge of Qihoo Overseas Market, in 2013. While staying in a hotel there, I got talking to one of the hotel staff about the mobile phone he was using. It was just a basic phone for making voice calls. But when I saw him again, less than a year later, he’d got himself a smartphone – but was still mainly using it for voice calls and SMS. I saw an opportunity. The vast majority people in developed countries and China were, and still are, using smartphones. The market was getting saturated with competition increasing. Now, competitors in these markets are competing for the same audience, not a new audience. In developing countries, like Brazil, India, Indonesia and countries in South East Asia etc, the internet industry and infrastructure can lag behind China, Europe, and the US by two to five years. This is where the opportunity is. It’s a big new market. Many people from developing countries skip the PC era to connect to the internet, jumping to smartphones instead. The problem that many people have, though, is that they are not used to a computer or smartphone. I saw the trouble people had using Android smartphones. Android, especially on lower end phones, was known for running slow, easily crashing and poor battery life. I thought if these pitfalls could be solved, it would bring Android users a brand new experience. I was approaching my five-year anniversary at Qihoo 360 and prior to that, I worked in the internet industry for over 10 years. I had an in-depth understanding of China’s internet industry and had built up enough experience in my career, so I decide to take the chance to start my own company. Through my contacts, I met the head of Redpoint Ventures, who decided that he wanted to invest in my idea – and so APUS was set up. Q2. APUS launcher started competing as a lightweight app initially. There were powerful competitors back then. What made you think that the product could survive the competition? We focused on the user experience and making Android easier to use, whereas other companies mostly created personalization tools. It was important to me that we created something that provides genuine value and use to people. APUS is a user system, a suite of products that includes APUS Launcher, Booster, Browser, Messenger Center and Flashlight. So the Launcher is simply one of APUS’ products. The advantage of APUS Launcher lies in the way it gives users an intuitive experience, acting as a gateway that provides an all in one service to what they need. In the first week after launch, with no marketing spend, we gained a million users. Within a few months, we had tens of millions of users. This was all through word of mouth spread, with people telling their friends how APUS makes your phone faster, easier to use and more intuitive. We chose the right time to enter the market, our innovative product provided a perfect solution for Android users. Moreover, with abundant capital, we could continue to heavily invest in R&D, big data technology and hiring more people. While some of the market players are still struggling for funding, APUS began monetizing at the start of this year. Despite only targeting one-third of our global user base, our revenue in June alone reached $15 million. It’s growing rapidly still, so there is plenty of space to grow in the future. If you combine all the factors mentioned, I see no reason that we can’t survive in the competitive marketplace. Q3. Privacy: concerned users (mostly US-based) tend to complain about APUS Launcher’s system of tracking the search term and sending the data about the apps you’ve got installed. What are your views on this? How do you protect user’s information? User privacy has long been an issue. We respect our users and certainly protect their information. The popular search terms use anonymous data to show trends and averages from our hundreds of millions of users to show what’s trending. This is no different to going onto Google and starting to type out a word to get suggestions of what you’re looking for; it’s also no different to going to Apple’s App Store and seeing what the search trends are. APUS uses artificial intelligence and machine learning technology to provide personalization to users and to use data, in a secure way, to deliver only the best recommendations. However, users have the right to choose whether they are happy to share their information, just like website cookies. There’s no need to worry about your information. We make sure it hasn’t been abused. Of course, if users don’t want to share information, they simply choose not to opt-in. Q4. Why didn’t you opt for app development on platforms like iOS? Android is an open source system. APUS is a user system built on top of Android, rather than changing the ROM. APUS positions itself as a gateway for users to access the internet. The whole ecosystem provides four segment services: interaction between a user and their mobile device; finding apps, information, and social networking. Android allows for a user system like APUS to be installed and deliver an improved experience. It’s also Android that has hundreds of millions of users who find it hard to use and need a way to make their phone run faster, with more battery life. iOS is a closed system, which means we have little space to improve the experience. Delivering useful apps on iOS is feasible, though, which is something we’re currently working on. Q5. Can you mention some “never-seen” beautiful tourist attraction places in China? I would say Hangzhou. It’s a famous city that recently held the G20 summit. It’s full of romantic and natural beauty. 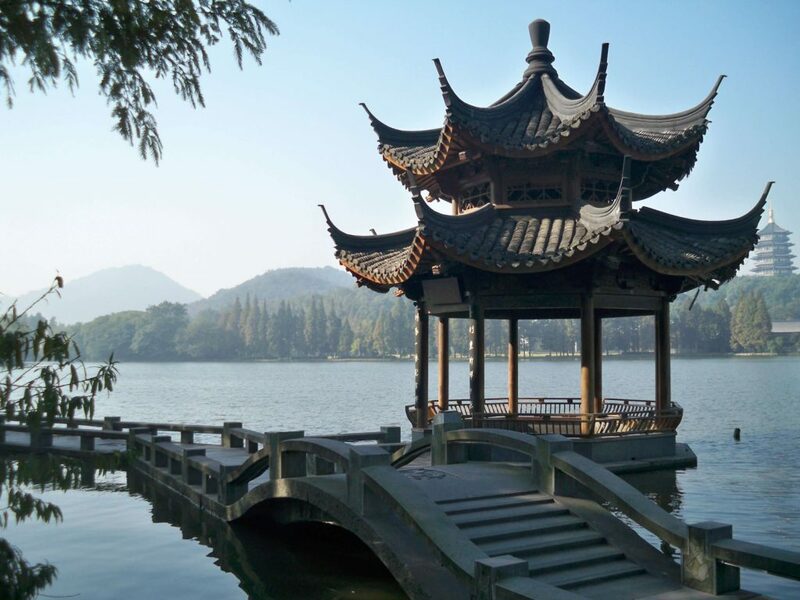 The graceful West Lake, surrounded by the hills from its three sides, comprising dotted islands and ornamental trees and gardens nearby, has been inspiring poets and artists for centuries in China. It’s not merely a scenery, but cultural. I spent quite a few years in Hangzhou during the early years of my career. It’s one of the most innovative cities in China, particularly in the internet industry. The most well-known company is Alibaba. The founder Jack Ma, who is described as a dream maker, a person who defines entrepreneurship, perfectly matches the character of Hangzhou. The city is full of romantic and innovative spirit, but also has a down to earth way of doing things. All these elements are attractive to me. I wish I could spend more leisure time in Hangzhou with my family. Q6. Is there an exciting update around the corner? Would you like to hint at any exciting features that are scheduled later this year? We frequently update APUS system every one or two weeks. We pay attention to technology and product trends. We’ve always been looking at what new experiences and value we can create, that have not been shared on mobile before. We are excited to be working with a lot of Indian partners who are technology leaders, such as InMobi and Hotstar, which provide local services to our loyal users in India. The majority of people access the mobile internet wishing to acquire three types of information: practical and useful information; entertainment and social networking. The future of APUS ecosystem will fulfil these requirements, which means we need to look for more partners to work together. This will provide more local services for our users. So yes, we are working on new projects and reaching a new corner. I’m sure our users will love the products that we have in the pipeline. Sadly, I can’t share more details with you now, as that would spoil the surprise. Q7. 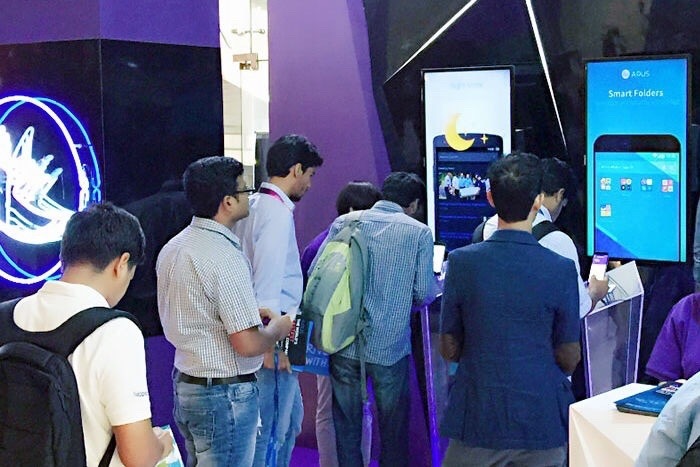 There are several young Android app developers inspired by people like you. What would you like to say them? Try to be simple and focused, create user value and social value. The former regards the product. To make a good product, you have to really understand your users and what they need most, not your client. Good products should speak for themselves. Do you want your product to enter a virtuous circle or a vicious circle? There is a simple criterion. For every hundred users, you acquire, if the product is good, each one of those users has the potential to bring you one new user each. However, if it’s bad, not only will you lose your existing users, but none of them will bring you, other users. That’s why we think it’s important to create user value. You should try to solve problems with your products and make sure that they make life better in some way. Listen to your users as well. They’re the most important part of your product. With regards to creating social value, I hope young Android app developers have an entrepreneurial spirit. Keep in mind that the ultimate goal of founding a company is seeking success in the social enterprise. Delivering your vision should impact and feedback to society. The mission of APUS is to bring people a better life, this has been always my dream.